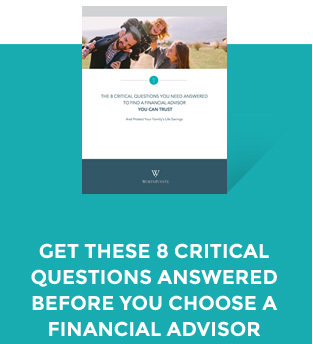 This post is a preview of WorthPointe’s e-book Evidence-Based Investing: Separating Fact From Fiction, written by Certified Financial Planner™ Scott O’Brien. In Evidence-Based Investing, Scott discusses the myths and misinformation that most often slow or halt our financial goals. Get your complimentary copy of Evidence-Based Investing here. Rebalancing helps you maintain your preferred risk level and loss tolerance. Remember when we talked about that in the chapter on allocation? Once you determine your allocation, the next challenge is to stick to that plan. If you determined that the ideal portfolio target allocation is 55% stocks, 40% bonds and 5% real estate, you don’t want your portfolio to move too far from this. Your target allocation should have been primarily determined by your loss tolerance, so if your portfolio allocation drifts too far off target, you start assuming more risk than you intended or vice versa. Occasionally, you must get rid of some of the high performers and nourish the low performers for growth to happen while maintaining your loss tolerance. If your target allocation is 60% stocks and 40% bonds and the stock market is doing well, then perhaps your portfolio changes with the increased growth in the stocks so stocks now make up 70% of your portfolio and the safer bonds make up only 30%. There is no doubt that the increased value of your portfolio pleases you. However, you’re now in a position of higher risk if the stock market uptrend should reverse. So, if you want to minimize your risk, you want to lock in some of your gains and reduce your stock investments back to your original target allocation of 60%. Let’s say you’re 60% stock and 40% bond allocation has changed due to the stock market suffering a period of negative returns (like happened in 2008). Now your portfolio is 50% stocks and 50% bonds. Your risk has lowered considerably, but you have more loss tolerance than your current allocation was aiming for. All you have to do is readjust your portfolio back to its original target allocation by selling some of the bonds and buying more stocks — and you buy them while they’re cheaper. In essence, rebalancing is a methodical way of selling high and buying low — exactly what you want to be doing! Read the rest in Evidence-Based Investing. Get Your Complete Copy of the Book Now. Scott W. O’Brien CFP® is a CERTIFIED FINANCIAL PLANNER professional who serves clients by coordinating their financial lives and assisting them in making smart financial decisions within the areas of investments, retirement planning, insurance strategies, tax minimization, and estate planning. Scott was honored as the winner of the 2015 Five Star Professional Wealth Manager for Austin, San Antonio and the Central Texas region. He has been quoted in the Wall Street Journal, US News & World Report, MainStreet.com and Investopedia. How Do We Compare to Austin’s Best Financial Planning Firms? < What Attracted our Advisors to WorthPointe?